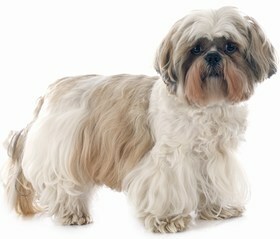 The Mal-Shi is the result of crossing the Maltese and the Shih Tzu breeds. Like all hybrid breeds, the Mal-Shi is less susceptible to hereditary health problems than his purebred counterparts, but its possible that health issues from the parents breed continue on to the Mal-Shi. Patellar luxation may affect the Mal-Shi. This occurs when the knee joint slides easily into and out of place. This dislocation of the knee can lead to severe pain, and it can cause lameness in severe cases. Corrective surgery may help, but it is not possible in every case. The Mal-Shi may experience hypothyroidism, a thyroid condition in which the thyroid gland cannot produce sufficient amounts of hormone. Hypothyroidism can lead to issues such as lethargy, hair loss, obesity, and infertility. The condition can be treated, but it will require daily medication for the duration of the affected dog’s life. inability to walk with episodes that can last for a full day. This condition can be treated with corticosteroids. The Mal-Shi may also suffer from respiratory issues and should live in a home with air-conditioning, avoiding heat and humidity as much as possible. The average lifespan for the generally healthy Mal-Shi is 12-14 years. Like all hybrid breeds, the Mal-Shi’s temperament may vary, because he can possess any combination of characteristics common to his parent breeds. However, the average Mal-Shi is a sweet-natured lap dog who is gentle and loving. He is a cheerful, outgoing family companion who excels as a therapy dog. The Mal-Shi is very small and can easily live in an apartment, but they truly love being outside, so a fenced-in yard is a bonus. Daily exercise is necessary for this breed, but this requirement can usually be satisfied with a brisk walk and some active playtime. On particularly hot or humid days, the Mal-Shi should remain indoors due to his respiratory issues. The tiny Mal-Shi should absolutely live inside with his family, with whom he is extremely affectionate and devoted. If he is left alone for long periods of time, the Mal-Shi is likely to develop separation anxiety, so he is not recommended for a home which is empty for majority of the day. The most important aspect of a Mal-Shi’s life is his family, so be prepared to shower your dog with attention, affection, and companionship. If you do not have time to make this commitment, the Mal-Shi may not be the best choice for you. This social dog will generally get along well with other dogs and pets, as well as children. He tends to be friendly with strangers, but he can still make a good watchdog who will sound the alarm as needed. Unlike his parents, the Mal-Shi can be quiet and does not bark too frequently. Proper socialization is still required to prevent the Mal-Shi from developing any of the snappiness of his Maltese parent, so expose him early and often to a variety of sights, sounds, people, places, and pets. This intelligent breed is generally easy to train and can be a good choice for a first-time owner. Use positive reinforcement by motivating him with favorite treats, extra playtime or time outdoors, and encouraging verbal praise. Do not be harsh with a Mal-Shi, although this should hardly be necessary, and training him should be a pleasurable experience for trainer and trainee alike. 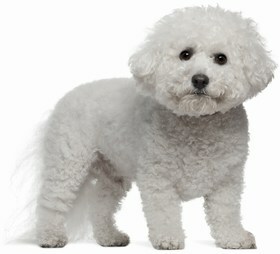 The Mal-Shi was originally bred with the intention of being non-shedding and hypoallergenic. This is not entirely possible for a dog, but the Mal-Shi is a very low shedder and can be a better choice for dog lovers with allergies. Although he does not shed much, daily brushing is recommended to keep his coat from becoming a matted mess, and the Mal-Shi’s coat should also be clipped roughly every 6-8 weeks. However, if daily brushing is too much of a commitment, weekly brushing can be sufficient as long as his coat is not overly tangled. Bathe the Mal-Shi regularly to maintain the silky, soft quality of his coat. Trim his toenails when they are long enough to touch the floor, and check his ears regularly for signs of infection such as redness, tenderness, and odor. Brush his teeth at least a few times each week at the least. Daily brushing is recommended, because smaller dogs are more prone to periodontal disease. The Mal-Shi can also be prone to tear-staining, which may need to be treated with tearstain remover if it becomes excessive. 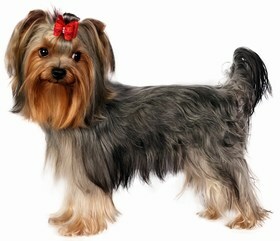 On average, the Mal-Shi should eat ¼-1/2 cup of high quality dry dog food daily. The ideal type and amount of food for your individual dog will depend on factors such as metabolism, activity level, weight, and age. Ensure that your Mal-Shi has access to fresh drinking water at all times, especially in hotter weather. 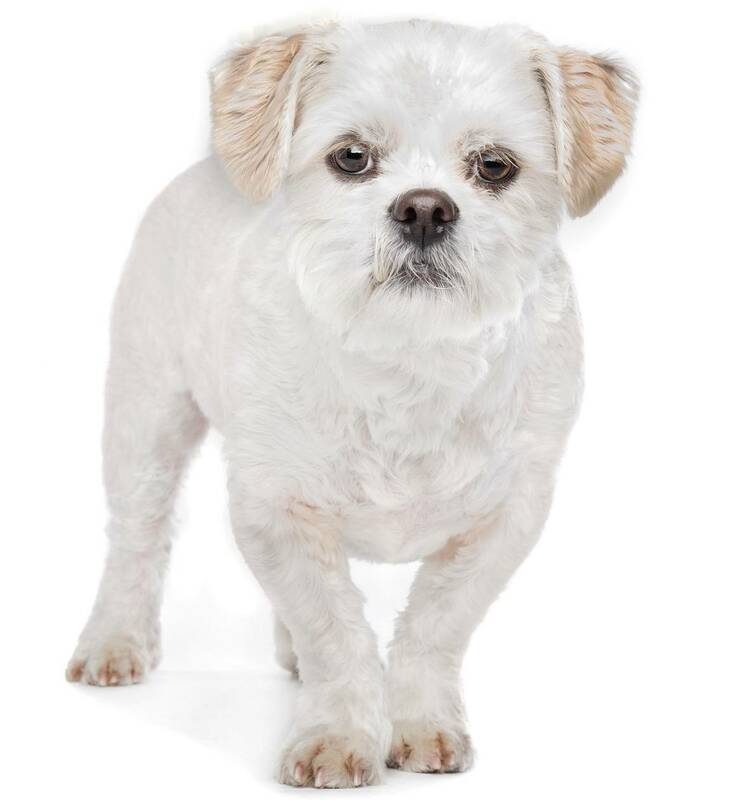 Looking for a Maltese Shih Tzu? The price of a Mal-Shi puppy varies widely, averaging $300 – $1,500. Cost may depend on variables such as breeder location and reputation, gender, and lineage. If you are able to adopt a Mal-Shi, expect adoption fees to cost around $200, depending on your location. Ranking takes into account a few basic factors including cost, skill level needed, high vs low maintenance and how critical regular training is to success. The Mal-Shi ranks a 2.5. He is generally healthy, can live in an apartment, has only moderate exercise requirements, and can get along with most people and pets. However, he can develop severe separation anxiety and should not live in a home where family members will be out of the house for long hours. 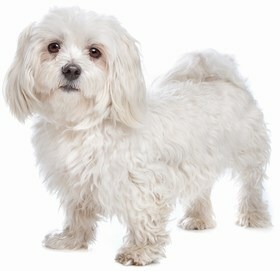 He will also require you to be aware of the weather when taking him outdoors and he can require extensive grooming.